Second in line to British throne pilots helicopter to rescue injured tourist - for the second time in less than a week. 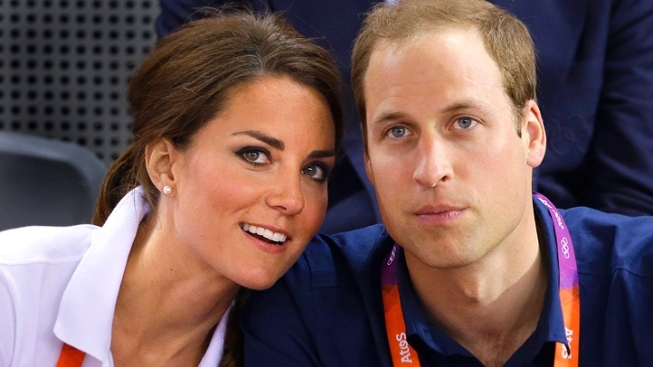 Prince William, right, and wife Kate, Duke and Duchess of Cambridge attend the London 2012 Games before William returned to active duty in his role as an RAF pilot. As his little brother Prince Harry lays low following the release of naked photographs taken during a recent trip to Las Vegas, Prince William continues to make headlines of a different variety. For the second time in a week, William - second in line to the British throne behind his father Prince Charles - swooped in to rescue a traveler in need, Monday. But it's all in a days work for the pilot who is currently on duty as part of the Royal Air Force search-and-rescue team in Wales. According to the Daily Express, the prince and his fellow rescue team flew to the aid of a 58-year-old Canadian woman who plunged down a crevice and broke a leg while trekking in Anglesey - an island off the north west Welsh coast. William piloted a Sea King rescue helicopter to the location of the the injured woman who was then winched aboard before being flown to a nearby hospital. “The only way to get her out was by RAF helicopter. The winchman had to give her pain relief,” a coastguard spokesman told the Express. The rescue occurred just as Harry's Vegas scandal was breaking, and comes less than a week after William and his crew flew to the aid of two teenage sisters who found themselves in distress in the sea off Anglesey. During that rescue, one of the teens had to be winched to safety from the sea by the RAF helicopter crew as her younger sister was pulled from the swift currents by a surfer on the scene. Both were taken to hospital to be checked for injuries. 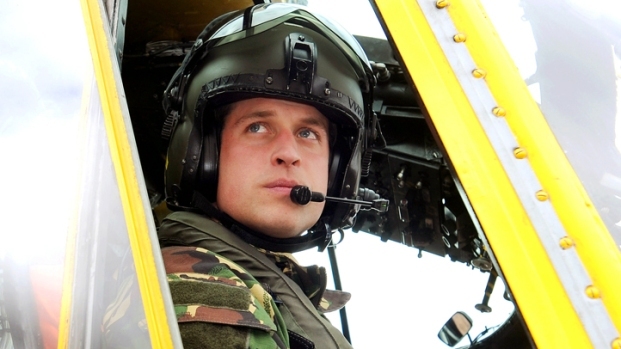 Kate Middleton's husband, who operates in the RAF under the name Flight Lt. Wales, became fully qualified as a search-and-rescue pilot earlier this year. Prince William was forced to cut short his attendance at the recent London 2012 Games in order to return to active duty in Wales.